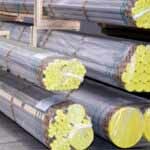 Nickel-Chromium-Iron Alloys Pipes, Nickel-Chromium-Cobalt-Molybdenum Alloy Seamless Pipe, Inconel Alloy Pipes Dealer in Mumbai, India. 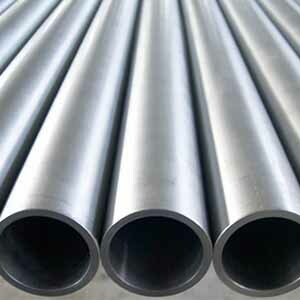 Suppliers of ASTM B167 Inconel Seamless Pipes, Incoloy Pipe, Inconel Pipes Exporter, Inconel Hexagonal Pipe, Incoloy Welded Pipe, Inconel Alloy Pipe Supplier in India. Ganpat Industrial Corporation offers a wide range of Inconel Alloy Pipes, where it is extensively demanded amongst the customers due to its various uses. We also delivered quality assured services. We also offer these products in different grades such as Inconel 600 Pipes, Inconel 601 Pipes, Inconel 625 Pipes, Inconel 800 Pipes, Incoloy 800H Pipes, Incoloy 800HT Pipes, Incoloy 825 Pipes, Incoloy 925 Pipes, Inconel 718 Pipes, and Incoloy 330 Pipes. Meanwhile, these Inconel Seamless Pipes are also being offered in different sizes and shapes to our customers, where our entire product range is used in varied industrial sectors. Generally, the corrosion resistance of Inconel Welded Pipes is very good in reducing environments, but poor in oxidizing conditions. 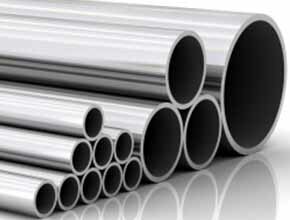 Inconel EFW Pipes is not useful in oxidizing acids, such as nitric acid and nitrous. 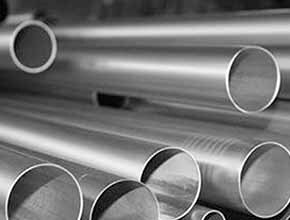 Nevertheless, Inconel ERW Pipes is resistant to most alkalis, salts, waters, food products, organic substances and atmospheric conditions at normal and elevated temperatures. 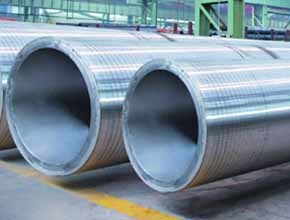 Inconel EFW Pipes has good oxidation resistance in intermittent service to 870 Degree C and in continuous service to 925 Degree C. Inconel Round Pipes can be machined using conventional machining methods which are used for iron-based alloys. 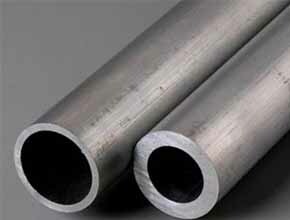 Inconel Square Pipes is similar to other stainless steel but with a titanium addition of at least five times the carbon content. This addition in Inconel Rectangular Pipes reduces or prevents carbide precipitation during welding and in the 800 Degree – 1500 Degree F service conditions. 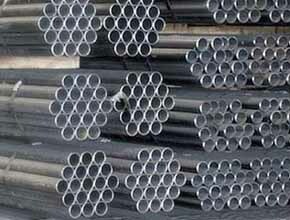 ASME SB725 Inconel Alloy Welded Pipes, Inconel Pipes, Incoloy Pipes, Inconel Seamless Pipe, Inconel Hallow Pipe, Incoloy Seamless Pipe, Inconel Bush Hex Pipe, Incoloy Welded Pipe Manufacturer in India. 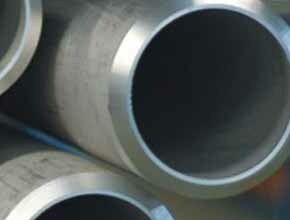 Inconel Seamless Pipe may be furnished bare or coated and with capped ends. 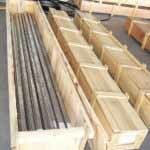 pipes up to 3” OD will be supplied in bundles. In order to prevent rust during sea shipment, bundles of Inconel Seamless Pipe may be wrapped with polypropylene sheets, and secured with flat steel bands. Over 3” OD will be supplied loose. La Victoria, Jaipur, Granada, Nagpur, Jamshedpur, Kuala Lumpur, Al Jubail, Edmonton, Singapore, Los Angeles, Faridabad, Milan, Bangkok, Petaling Jaya, Atyrau, Gurgaon, Ahmedabad, Pune, London, Lagos, New Delhi, Ludhiana, Seoul, Visakhapatnam, Haryana, Hyderabad, Jakarta, Jeddah, Rio de Janeiro, Caracas, Gimhae-si, Bogota, Montreal, Coimbatore, Kuwait City, New York, Manama, Melbourne, Dallas, Istanbul, Houston, Vadodara, Toronto, Hong Kong, Chiyoda, Abu Dhabi, Baroda, Tehran, Pimpri-Chinchwad, Hanoi, Muscat, Indore, Mumbai, Ankara, Brisbane, Howrah, Dammam, Colombo, Secunderabad, Perth, Courbevoie, Lahore, Algiers, Thiruvananthapuram, Chandigarh, Doha, Navi Mumbai, Thane, Aberdeen, Madrid, Geoje-si, Santiago, Ernakulam, Cairo, Riyadh, Ulsan, Calgary, Mexico City, Al Khobar, Nashik, Chennai, Bengaluru, Dubai, Ho Chi Minh City, Bhopal, Ahvaz, Sharjah, Ranchi, Port-of-Spain, Sydney, Rajkot, Vung Tau, Busan, Karachi, Kolkata, Kanpur, Surat, Noida, Moscow. Nigeria, Algeria, United States, Taiwan, Portugal, Namibia, Jordan, United Arab Emirates, Slovakia, Lithuania, Lebanon, Saudi Arabia, United Kingdom, Kuwait, Bhutan, Finland, Libya, Hungary, Trinidad & Tobago,Tunisia, Bahrain, India, Iraq, Romania, Israel, Ecuador, Sweden, Thailand, Gambia, Belgium, Germany, China, France, Bulgaria, Italy, Netherlands, Chile, Tibet, Nepal, Greece, Mexico, Canada, Brazil, Bangladesh, Zimbabwe, Chile, Bolivia, Argentina, Ukraine, Ireland, Indonesia, Singapore, Japan, Peru, Yemen, Switzerland, Kazakhstan, Angola, Afghanistan, Estonia, Malaysia, Azerbaijan, Vietnam, Venezuela, Kenya, Morocco, Oman, Mongolia, Ghana, Austria, Qatar, Nigeria, Poland, Australia, Spain, Sri Lanka, Puerto Rico, Colombia, Poland, Czech Republic, Croatia, South Korea, Russia, Serbia, Philippines, Egypt, Hong Kong, Pakistan, Norway, Iran, South Africa, Gabon, Iran, Belarus, Denmark, Turkey, Macau, Costa Rica, Mexico, New Zealand.